Donning a pair of her brightest red sneakers, Rebecca Ledgerwood took off toward the town square at a vigorous clip. Sundays in Kendal weren’t for the lazy or the lackadaisical. For as long as she’d been living there—all thirty-five years of her life and counting—it’d been the day to be out and about. To be seen. Heard. Go to church, grab a bite, socialize, exercise, and everything in between. As she neared the gazebo that stood at the center of all the activity, a fist of longing squeezed her heart. Everywhere she turned, she spotted families and soon-to-be-families, happy couples, new mothers pushing strollers . . . visions she’d trained herself to enjoy instead of envy. But today, envy was niggling. Always lovable doubling your story and having so much fun. Aww, a bright morning for her, out and about, but still poignant…enjoyed the excerpt! Your description made me think of the Gilmore Girls. Loved it. Oh, yay! Stars Hollow is totally the town I envisioned while writing this! 🙂 Thank you! 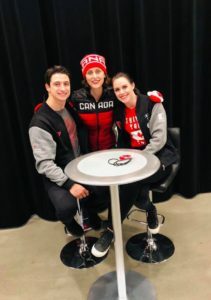 How in the world did you score a picture with Moir and Virtue? I love how you ended the snippet, and great photo! Love this insight into your heroine’s soul, her loneliness, her desire to be included in the familial tribe. Thanks so much, Nancy! This snippet is pretty much a brief autobiography lol. Any story with a gazebo has got to be a good one! Lovely job setting the scene here. I can already feel how great this tale is going to be. I’m looking forward to the short work-week and the lovely long 4-day holiday weekend. I’m hoping I find some time to make a dent in my ‘to read’ pile! 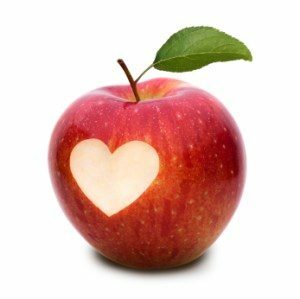 Previous post Weekend Writing Warriors #88! Next post Weekend Writing Warriors #90!